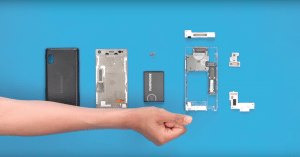 Find out everything you need to write an article about Fairphone. We love to tell our story – if you need to know more, just drop us a line. an event, go to our events page. We encourage you to use our photos and videos for non-commercial purposes, as long as you credit them to Fairphone. All of our photos and videos are under Creative Commons license Attribution-NonCommercial-ShareAlike CC BY-NC-SA. For urgent press requests, please contact Fabian Hühne by email or phone +31 (0)20 788 4402. For urgent speaker requests, please email Lina Ruiz. by email or phone +33 01 8170 9560. If you represent German, Austrian or Swiss media, please contact our German PR agency Muxmäuschenwild by email or phone +49 30 755 66 794.